Some time back Harvard Business Review reported a study regarding how mergers impact people in the workforce. The research, involving almost 1,000 senior and middle managers, found that 90% of them were psychologically unprepared for the changes in status and organizational structure they would encounter following their mergers. 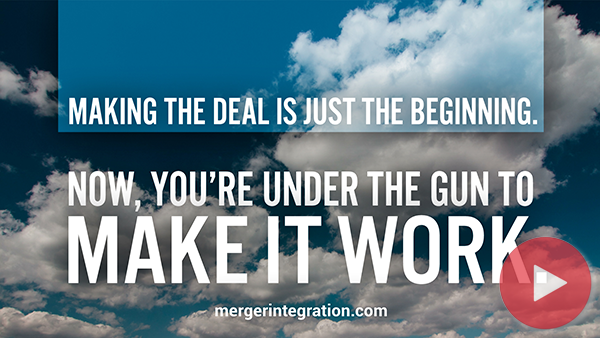 If you’ve got a deal in the works, take a hard look at your organization . . .